This past fall, as part of my gap year, I spent six weeks on a road trip through nine national parks. To get a glimpse at some of my favorite parts check out my video of the trip! To fill in some of the details about how we planned the trip, saved money, and survived only taking 3 showers the entire time keep reading! Being able to spend an extended amount of time in the great outdoors has always been a fantasy of mine having grown up in Chicago (a flat metropolis). Once I committed to a gap year I knew I wanted to spend time camping and hiking in national parks. I’m extremely fortunate that my partner Josh was set to finish his 5-year contract in the Marines just a few months after I graduated from nursing school. It wasn’t very hard to convince him; Josh immediately agreed when I proposed the idea. Without him I’m not sure this trip would have been possible. 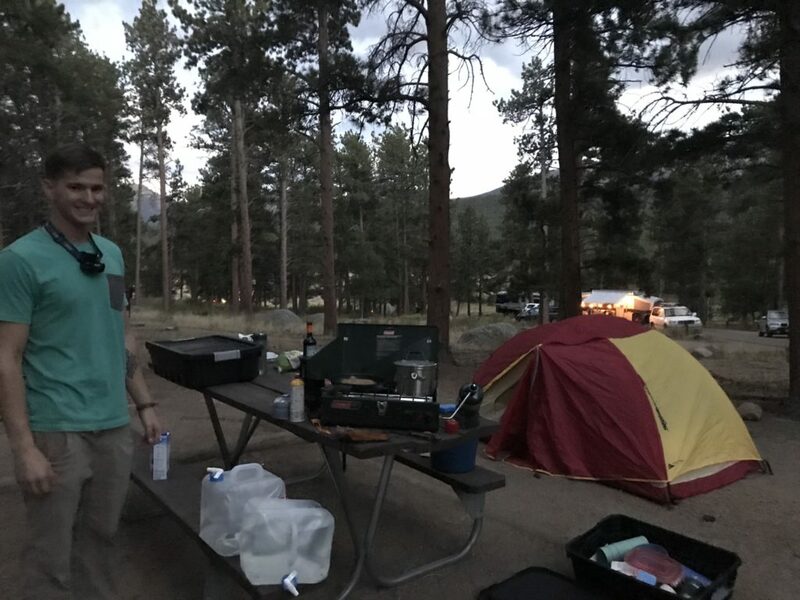 Josh not only provided the car, camping supplies, and climbing gear but great knowledge of the outdoors (especially how to get around on a small budget) and the best company I could ask for. Some of my favorite parts of the road trip were the little moments like when we would set up camp and cook dinner, or watch a movie off my laptop in our tent at night. Josh was stationed in Oceanside, California, a suburb of San Diego and our starting point for the road trip. His departure from the military was scheduled for the beginning of September, which worked out well since the summer crowds would mostly be gone by then. We’re both from Chicago, so we also knew that at the end of the trip we would have to head back east. We had limited time since I was set to leave for Puerto Rico at the end of October. Deciding which parks we wanted to hit was difficult as there are so many beautiful ones spread throughout the country, but overall I’m very impressed with all that we were able to do. Originally, we planned on heading north through California, Oregon, and Washington, but quickly realized with dropping temperatures and our set time frame it would make more sense to head east to the four corners area, especially since we had briefly camped in Yosemite National Park earlier in that spring. Eventually we settled on a route the would take us through nine national parks; Rocky Mountains, Yellowstone, Grand Teton, Zion, Bryce Canyon, Capitol Reef, Arches, Canyonlands, and Smokey Mountains. 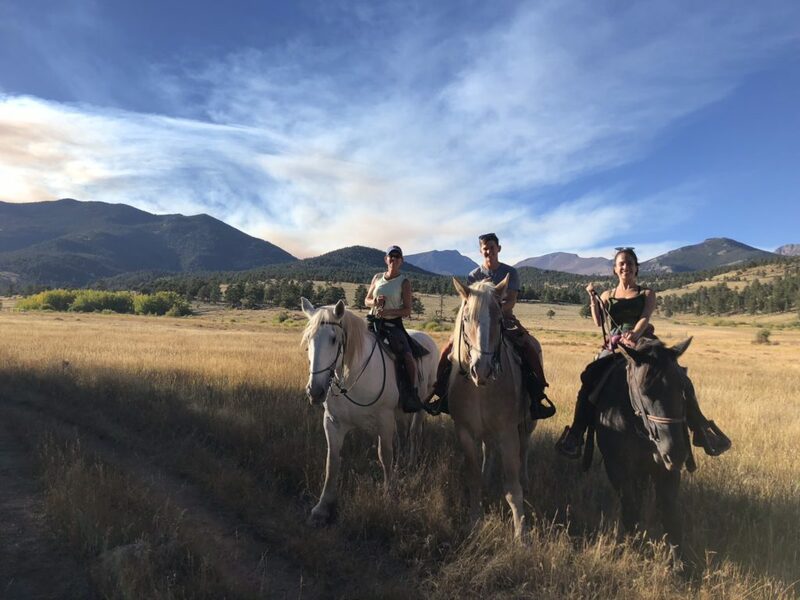 Initially Mesa Verde, Black Canyon of the Gunnison, and the Great Sand Dunes were included in our route but had to be skipped due to heavy rain in October. Although it was unfortunate, stops in different cities and outdoors areas that weren’t national parks helped make up for it. To prepare for the trip, Josh and I made an outline of the route we would take. We included rough estimates of how many days we would spend at each location (to make it back home in time), and major cities we could stop in to stock up on groceries and equipment. It was important that we always had enough food as Josh and I are both vegan (plant based diets help preserve the environment!) which can sometimes be hard to find options for in more rural areas. The stops also allowed us the much-needed opportunity to shower since our camp sites did not have running water. Despite only taking three showers throughout the trip we managed not to get stinky thanks to the cooler weather, sponge baths, and a portable hose. Online apps were a huge help in planning the trip as well. We didn’t have money or a strict enough schedule to reserve campsites a head of time, so to find free or cheap places last minute to camp we used the app Ultimate CG. 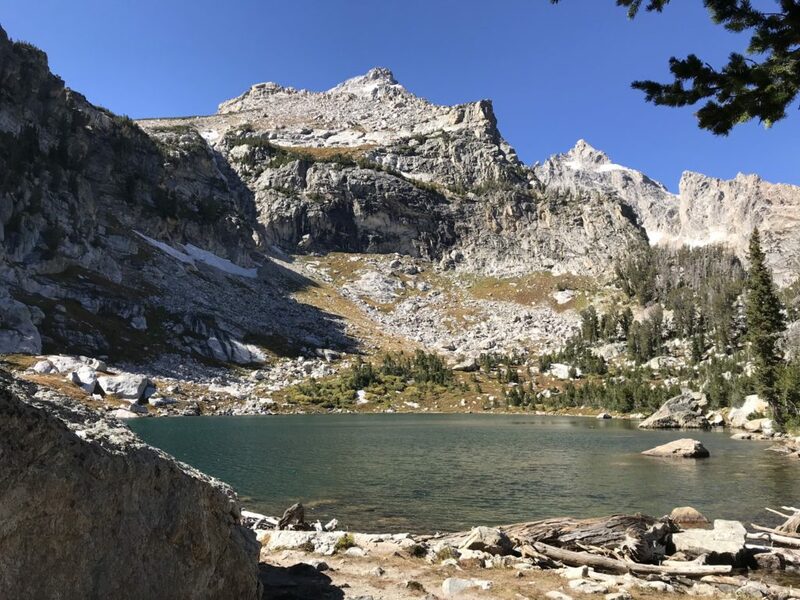 To find hikes that were a good match in terms of time and intensity, All Trails is an awesome tool that even includes pictures and personal reviews. Mountain Project is a helpful app for finding rock climbing routes near you that fit your skill level. The internet is such a great resource I love to use while I travel and made planning this trip on our own super easy! One important task before the trip was figuring out how exactly we would organize Josh’s Civic. Hot and cold weather was to be expected on the trip, so we each packed one large suitcase that included summer shorts to winter coats. We had another suitcase holding our 2-person tent, double sleeping bag, and air mattress. For food, we had a small gas grill, cooler, and 3 different medium sized bins. One bin contained snack foods, another ingredient for meals, and the third cooking supplies. We also had a bag for dirty laundry (not just clothes but also rags as we opted out of disposable wipes for environmental purposes), a bucket for dishes, 2 large reusable water jugs (these are a great sustainable option to water bottles! ), a backpack with climbing gear, both of our backpacks, a small bin with electronics such as chargers and batteries, and flow toys. Josh and I both love flow arts and spent time during the trip playing with our LED and fire poi, contact staff, and hoops. Although Josh’s car has a hatchback, it would be an understatement to say the car was packed. We made it work though! Knowing that we would be in the Denver area at some point I was excited by the opportunity of seeing a concert at the world famous Red Rocks Amphitheater. Coming from California it would have been most convenient to stop in Utah first, but when I found out one of my favorite bands, STS9, had a concert a day and half after Josh’s final day in the Marines we had to change plans. Although the 16-hour drive was rushed and brutal, it was absolutely worth the magical experience. I couldn’t have asked for a better way to start the trip. The day after the concert we picked up Josh’s mom from the airport. When hearing about the planned trip, we thought it’d be fun to have her join us for a few days. From the airport, we headed straight to Rocky Mountain National Park. We spent 3 days there hiking, horseback riding, driving through the tundra, and enjoying time at our campsite watching the wildlife. Afterwards, we spent a day in Denver together enjoying the lovely parks, street art, and restaurants in the city. After dropping Lisa off at Denver airport Josh and I had a ten-hour drive to Wyoming where we’d be visiting Yellowstone and Grand Teton National Park. First was Yellowstone, the country’s first national park. It’s more famous for its sight-seeing features such as Old Faithful geyser rather than hikes, but Josh and I still enjoyed a few trails there. At the time, there had been a bear spotting and even an attack in the area so we had to buy bear spray as a precaution, but did not encounter any bears. My favorite part of our time there was the outdoor presentation we saw on the history of the park by a ranger. I loved hearing the history and seeing a slide show of old photos of the land. 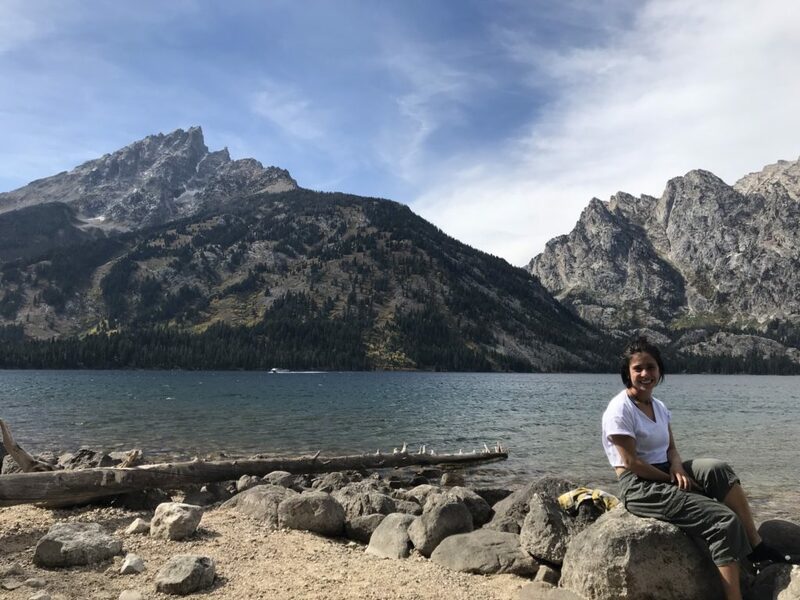 Though right along the southern border of Yellowstone, Grand Teton National Park was a much different experience. It’s much smaller and less visited, but in my opinion has much more scenic mountains. The hikes we did there were challenging, but well worth the breathtaking views. I look forward to returning one day. From Wyoming, we headed to Utah where we made a pit stop in Salt Lake City. We spent a morning touring the Mormon Tabernacle and learning about a different religion. 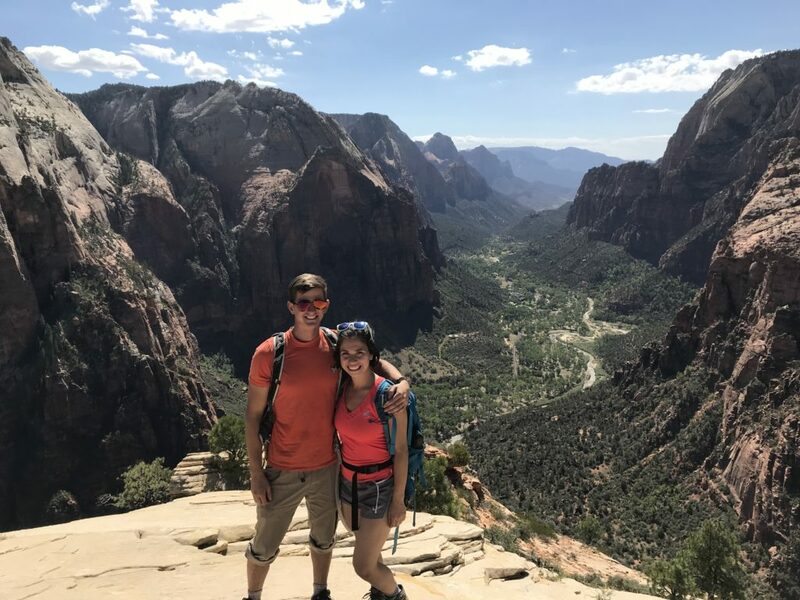 We didn’t spend much time in the city as I was extremely excited to head to Zion National Park. 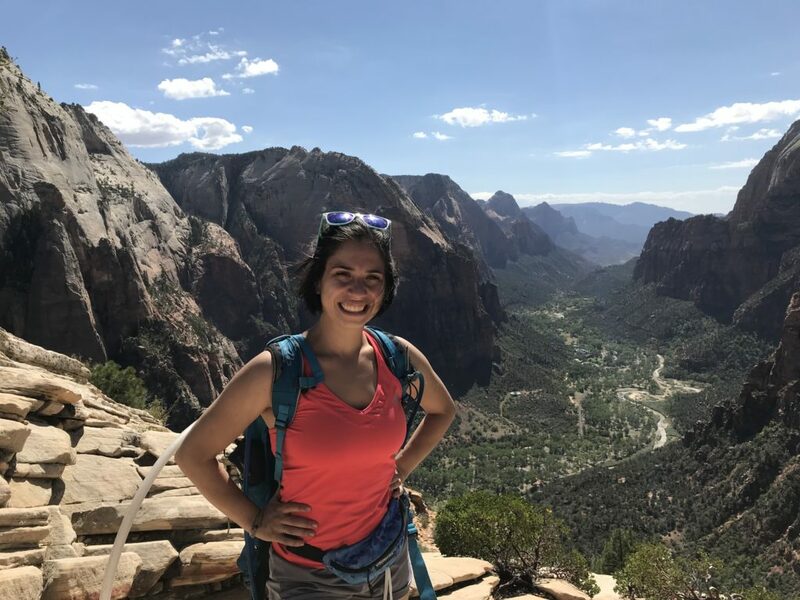 The view from the top of Angel’s landing truly did feel like heaven. The hike was narrow and steep, and packed with people from all over the world. We also trekked through the Narrows, a famous hike where you spend most of the trail walking through a rocky river, dependent on hiking sticks for balance. After Zion, we made a stop in St. George, Utah to spend an afternoon rock climbing. This was my first-time rock climbing outdoors. Although difficult and nerve racking, I was instantly hooked and have developed a great passion for rock climbing since. The next four national parks we went to after were Bryce Canyon, Capitol Reef, Arches, and Canyonlands. The four are similar with comparable colors and plants, but contain distinct land features. Bryce Canyon had some short hikes that provided stellar views of the enchanting hoodoos. The unique rock formations there are called Hoodoos, which means to bewitched. They’re tall and skinny, but their size and numbers makes Bryce Canyon enchanting. Capitol Reef had an interesting history of humans living there with old building remains still visible. The hike we went on had a variety of formations and views. We couldn’t spend too much time in either Arches or Canyonlands due to rain (of course it rains in the dry desert when we’re there!) but our short hikes proved that both parks live up to their names. From Utah, we drove east. We made stops in St. Louis and Chicago to see friends and family before heading to the Smokey Mountains. The Smokey’s were totally different from a lot of our road trip due to the geography and climate. It was refreshing to see trees with beautiful colors and green grass. We also spent a day in the world famous Red River Gorge for some epic climbing. I can’t help but smile every time I look back at this road trip. Being totally immersed in nature made me feel more alive than I’ve ever been. I’ve never felt as healthy or happy as when I spent my days in fresh air and getting to hike and climb. This experience provided me with a new appreciation four our country and planet. If I hadn’t taken this gap period after graduating college, it is likely I would have had to wait several years or even till retirement to get the chance to make this dream come true.